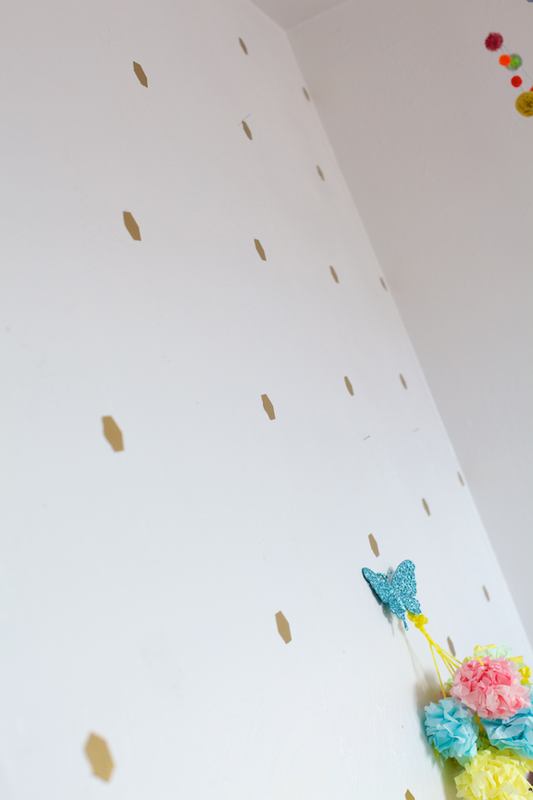 Remember the polka dot wall I made with black paper and a 2'' hole punch? 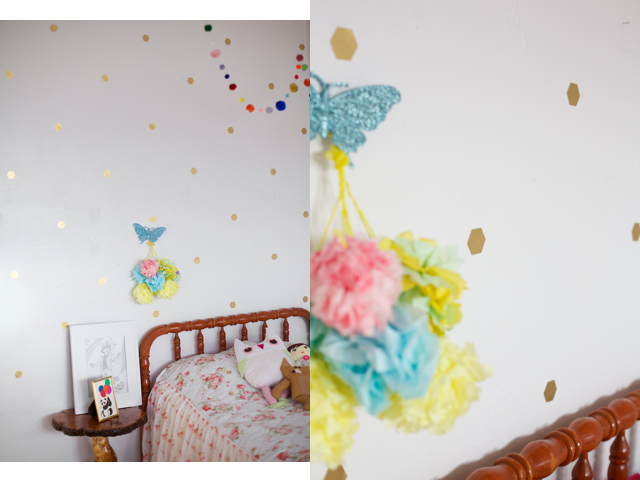 We did it with Paige's wall recently using my new hexagon punch with GOLD paper. Ahh!! Best, right? I love it. I just used double-stick tape and measured out the spaces with two rulers that I taped together. Super easy, it only took a few minutes. I got the hexagon punch at JoAnn's (I think they have three different sizes) if you need to go get your own. Which you probably do. 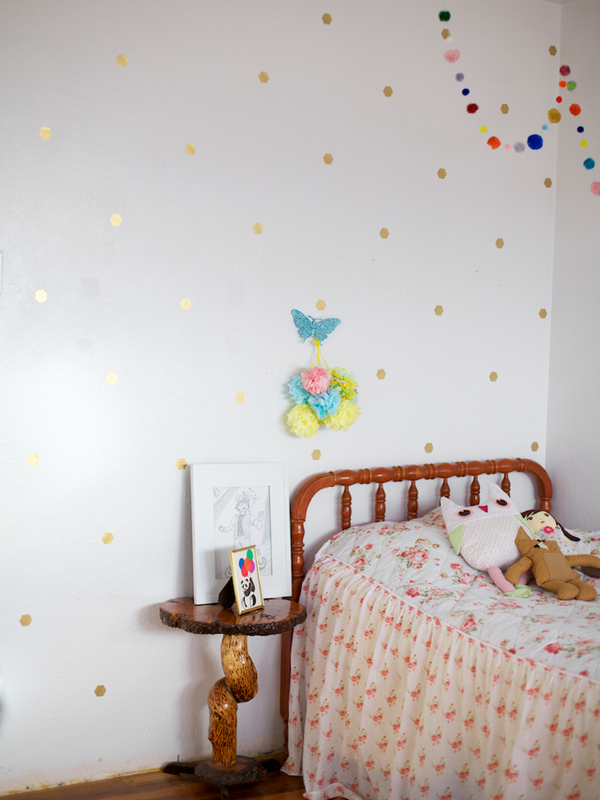 very cute, another idea is to use metallic contact paper ;) bet paige is one happy girl! Ooh, I've got to figure out where to get some of that! Love that idea!!! I think I will do something like that! Love it! White and gold together are my new obsession. Thanks Alida! And I knooooowww, I love that color combo!! Always easy, simple and inexpensive. I love visiting! I DEFINITELY need to get my own. Too fun! This would make me so happy in our apartment that we can't paint. where did you buy that bed spread!!!! I am in love! 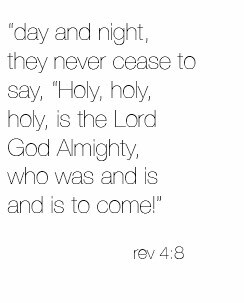 This is so simple and beautiful! I totally want to do this! I have the hole punch. Did you get the gold paper at Joann too? I looked at Hobby Lobby but didn't like their shade of gold.